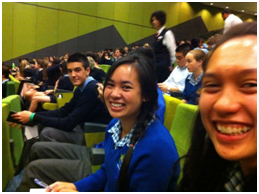 Developing leadership potential among students is an important aspect of Wellington Secondary College. Students attend both in-house and external programs that build leadership capacity and get opportunitites to demonstrate leadership at various levels. Around 70 students from Junior School, Middle School and Senior School participated in in-house Leadership Training, enhancing their organisational, communication, conflict resolution and public speaking skills. 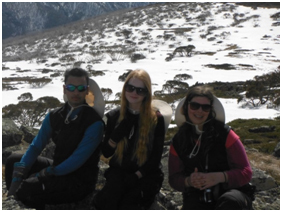 In addition, Year 9 students have the oportunity to attend the Alpine School of Leadership. This unique residential program focuses on engaging students in activites that allow them to learn about the local environment and cultures. For the past three years, Wellington students have attended this program, improving their abilities in Thinking and Learning, peer skills, Leadership and Teamwork. The students implement a Community Learning Project on their return. 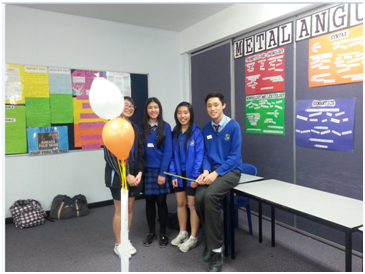 This year, the Alpine students ran a successful fundraiser event and raised funds for Keysborough Animal Shelter. 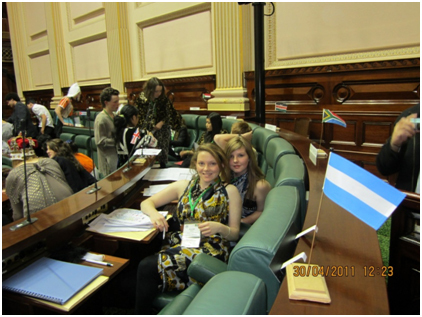 Model United Nations Assembly or MUNA simulates the workings of the United Nations Assembly. Wellington students represent a country, dress in its national costume and debate issues such as the death penalty, human rights, food security and arms control. The experience enables students to improve their public speaking and debating skills, and builds their awareness of the situation of other countries in the world. Since the first day I started, I knew that it was lucky for me to have the chance of studying at Wellington Secondary College. The students here always work hard so that the atmosphere for learning skills and knowledge is very inspiring. Outside of classes my classmates have been extremely friendly. I have been made to feel accepted in this entirely new environment. While Wellington has helped me achieve academic success, it is the culture and sense of community that sets it apart. I am truly appreciative of the time I spent at Wellington. Wellington Secondary College is, in my opinion, a wonderful and exciting place. There is up to date technology, friendly people and educational lessons. It has fun lunchtime activities and many special occasions. Wellington is a GREAT school. 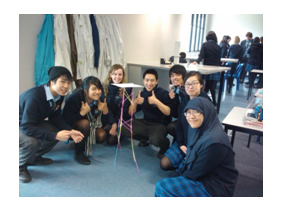 Wellington Secondary College is great. It has friendly teachers and students. The two main things Wellington has given me that have impacted on my life the most are the friendships I developed and the opportunity given to me to become a leader. It is a place that enabled me to express my leadership skills to my peers everyday and become the best person that I can be. Vivian PhanClass of 2013 Bachelor of Primary Teaching Monash University. The greatest lesson I learnt during my six years at Wellington was to not let anyone tell you can’t do something and you can have anything you want if you want it badly enough. The transition from Year 6 to Year 7 was really easy because everyone took care of you and made sure you knew what to do. We have learnt a lot by studying here. We were taught a wide range of academic knowledge and many useful skills to cope with everyday life and the hardships which we may have to confront in the future. Here we had more opportunities as there were so many different subjects we could choose to study. We were always encouraged to do well and were motivated and told that if we continued to work hard we could study at a top university. In entering Wellington as a Year 7 student, I liked the way I was kindly welcomed. There were many things I was able to do that I couldn’t do at primary school. Overall, I enjoyed moving to Wellington.